The material condition of the Air Forces' aging HH-60G fleet has declined and maintenance challenges have increased, in part due to extensions beyond the designed service life of the helicopters. About 68 percent of the 96-helicopter fleet were mission-capable as of fiscal year 2017, below the Air Force desired mission-capable rate of 75 percent. The fleet is experiencing maintenance challenges. For example, the helicopters undergoing depot-level maintenance spent an average of 332 days undergoing such maintenance in fiscal year 2017 compared with 233 days in fiscal year 2007, more than a 40-percent increase. Air Force officials attribute these challenges to the helicopters exceeding their initially planned service life. Currently, available helicopters across the fleet average about 7,100 flight hours about 18 percent more than their initial expected service life of 6,000 hours. According to Air Force officials, the schedule for fielding the new Combat Rescue Helicopters generally prioritizes the replacement of helicopters with the highest number of flight hours; as a result, the active component is scheduled to begin receiving its new helicopters in fiscal year 2020, 6 years before the reserve component. In May 2018, the Air Force's active component HH-60Gs averaged about 2,000 more flight hours per helicopter than the reserve component. Under the fielding schedule, the Air National Guard squadrons are to receive new Combat Rescue Helicopters beginning in 2027, at the end of the fielding period. According to officials, in the meantime, to address aging helicopters in the Air National Guard, the Guard is scheduled to receive refurbished Army helicopters beginning in 2019. According to Air Force officials, these helicopters will have 3,000 or fewer flight hours and will be upgraded to the Air Force's HH-60G configuration. The Air Force officials explained that these helicopters are expected to increase reliability rates, reduce the need for unscheduled maintenance, and bridge the gap until the Air National Guard receives the new Combat Rescue Helicopters. Due to the Air Force fielding schedule for the Combat Rescue Helicopters, the Air Force may face a challenge in supporting formal training for reserve component squadrons in fiscal year 2025 through 2028. The training squadrons at Kirtland and Nellis Air Force Bases conduct all formal HH-60G training for both the active and reserve components. By 2025, these training squadrons are scheduled to be completely transitioned to the new Combat Rescue Helicopters. Given the fielding schedule, the training squadrons will not have any legacy HH-60Gs for formal training for the reserve component. However, some squadrons in the reserve component are scheduled to continue flying HH-60Gs until 2028 and will still need formal training. Air Force reserve component officials did not concur with the new Combat Rescue Helicopter fielding schedule. However, Air Force officials said that they plan to maintain their fielding schedule because changing it would require renegotiation of the contract, likely increase costs, and possibly delay delivery of the new helicopters. Air Force officials acknowledged this potential training issue and told GAO that the Air Force was considering options to address it; including retaining some legacy HH-60Gs at a training squadron to provide training during any gap period. 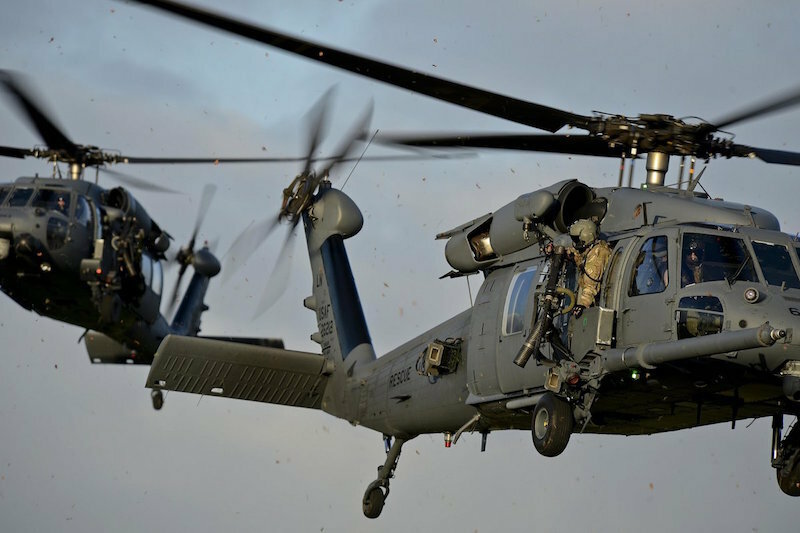 Since the 1980s, the Air Force has used its HH-60G Pave Hawk helicopters to conduct life-saving missions, including for personnel recovery and medical evacuations. The aging HH-60G inventory has shrunk over the years as a result of mishaps. As the inventory was declining, the Air Force began efforts to replace its fleet with the new Combat Rescue Helicopter. The National Defense Authorization Act for fiscal year 2018 includes a provision for GAO to review HH-60G replacement programs. This report examines: (1) the maintenance condition and service life of the Air Force's HH-60G Pave Hawk helicopters; (2) the Air Force's schedule for fielding the new Combat Rescue Helicopter in the active and reserve components; and (3) any training challenges the Air Force has identified related to this schedule. GAO analyzed flight hour and availability data and contracts and fielding schedule for new and refurbished personnel recovery helicopters for the Air Force. GAO also analyzed documentation, and interviewed officials from the Air Force Headquarters, the Air Force major commands, including the Air National Guard and Air Force Reserve, and training and test and evaluation units to discuss challenges the Air Force expects to face as it fields its new helicopters. Click here for the full report (24 PDF pages) on the GAO website.